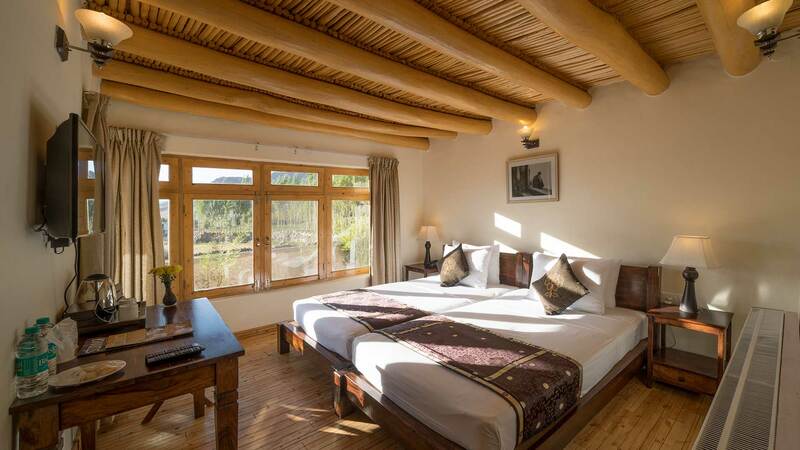 Peppered with fragrant little herbs gardens and spectacular 360 degree views, the Saboo Resorts is your cradle of Luxury nestled in the quaint Saboo Village. 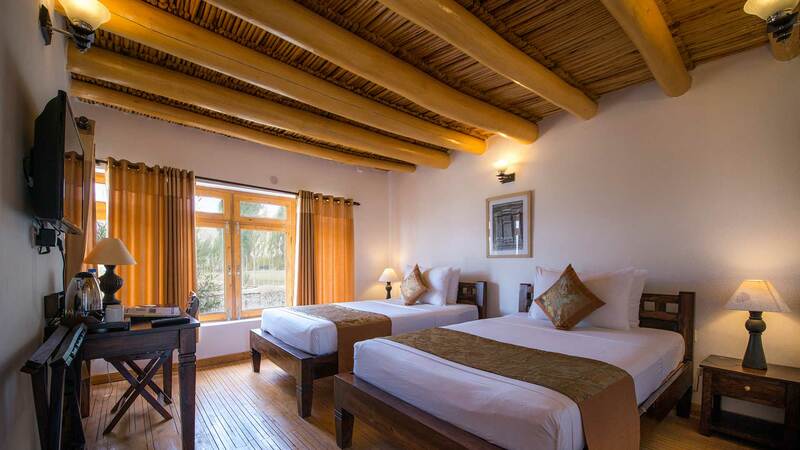 Located in the lap of Zanskar Range in Ladakh, The Resort is just 7Kms from Leh town, allowing you access to the bustling town and at the same time just a step away from the Ladakh village life. 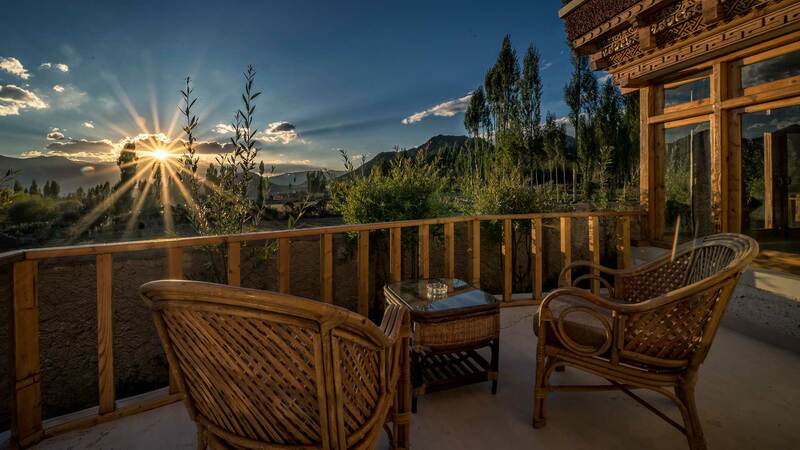 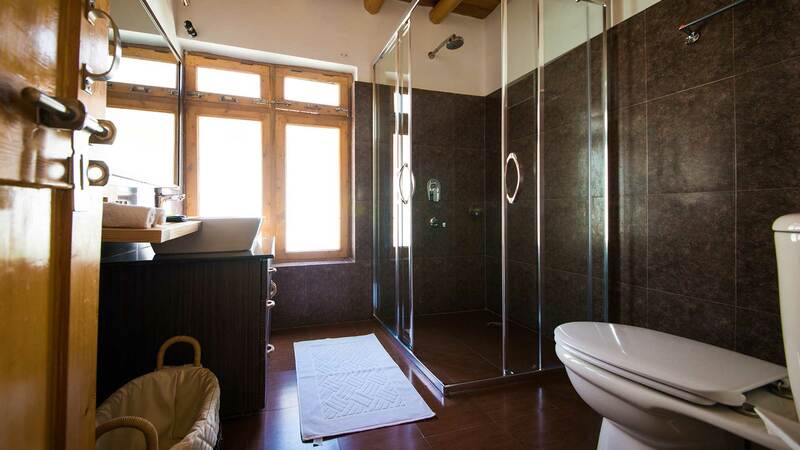 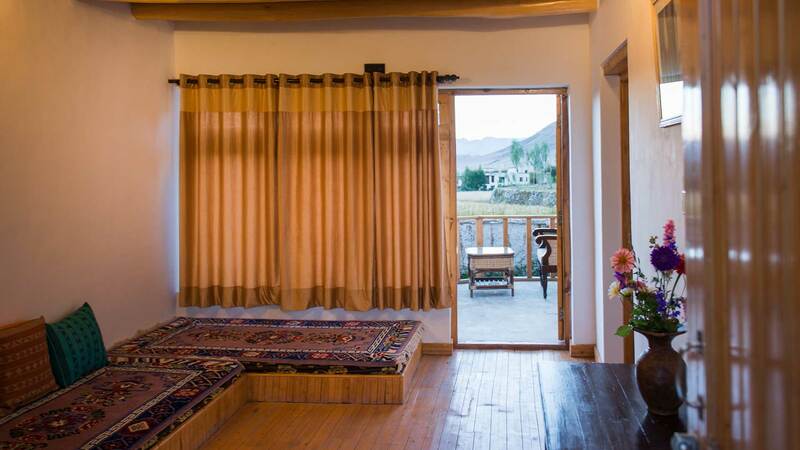 Fifteen cozy cottages blend into local landscape, each with its own living room and exclusively private verandah overlooking the Stok Kangri, Stok Range, farm fields and several glacier-melt rivers. 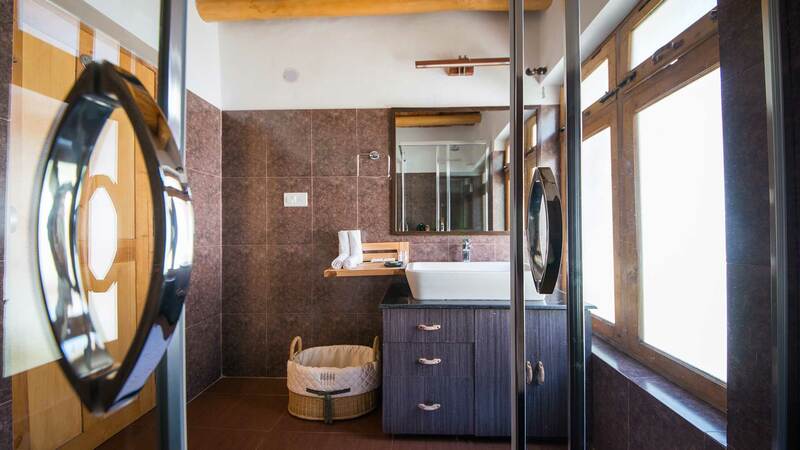 Each cottage boasts of two plush, queen sized beds to sink in; unarguably our most favoured amenity.